If Hollywood keeps churning out garbage, we shouldn’t be surprised if fewer people go to the movies. The domestic box office numbers are terrible so far this summer. Films like “Transformer: The Last Knight,” “Pirates of the Caribbean: Dead Men Tell No Tales,” “The Mummy” with Tom Cruise and Guy Ritchie’s “King Arthur: Legend of the Sword” have all flopped. Movie fans are flooded with lame sequels, mindless action films and too many superhero movies to count. Fortunately “Dunkirk” will be out soon . . .
After a few weeks in which there were never more than a few new releases at a time, mostly out of fear of “The Dark Knight Rises,” this weekend saw four new pictures enter theaters. As a result, there was major turnover in the domestic box office charts for the first time in what seems like a while. The most successful new release was action sequel “The Expendables 2,” starring way too many people to name. The film brought in approximately $28.6 million after debuting in 3,316 theaters. Unsurprisingly, the film skewed to older males, 63 three percent of the audience was male and 65 percent was over 25. While the sequel fell off 18 percent from the debut of the original “Expendables” ($34.8 million), $28.6 million is a modest but acceptable opening mark. The stop-motion animated feature “ParaNorman” took third place with $14.1 million. After production studio LAIKA received a great deal of critical acclaim for its first film, “Coraline,” many thought the studio might become a Pixar competitor. While LAIKA may arguably be putting out films of similar quality (each was certified fresh, with “ParaNorman” receiving an 88 percent and “Coraline” a 90 percent rating on the Tomatometer), they’re still lagging far behind in terms of box office success. Ten of the thirteen Pixar films have ended up with total domestic grosses over $200 million. LAIKA has a long way to go before they can compete with that. As for the weekend’s other two new release, the musical “Sparkle” rounded out the top 5 with $11.6 million, while “The Odd Life of Timothy Green” came in seventh with $10.8 million. 1. 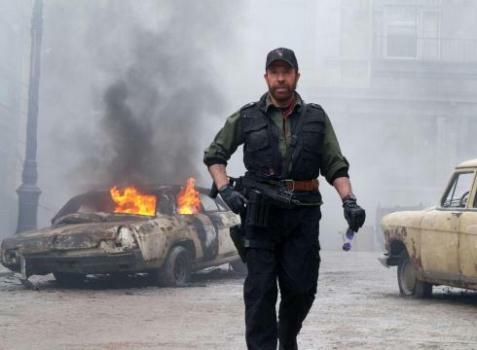 The Expendables 2, 1/3,316, LGF, $28.591 million. 2. The Bourne Legacy, 2/3,753, Universal, $17.057 million, $69.618 million. 3. ParaNorman, 1/3,429, Focus, $14.087 million. 4. The Campaign, 2/3,255, Warner Bros., $13.127 million, $51.435 million. 5. Sparkle, 1/2,244, TriStar Pictures, $11.643 million. 6. 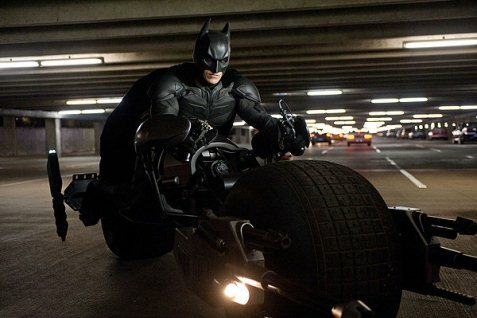 The Dark Knight Rises, 5/3,157, Warner Bros., $11.011 million, $409.787 million. 7. The Odd Life of Timothy Green, 1/2,598, Buena Vista, $10.822 million. 8. Hope Springs, 2/2,361, Sony, $9.111 million, $35.063 million. 9. Diary of a Wimpy Kid: Dog Days, 3/2,737, Fox, $3.834 million, $38.747 million. 10. Total Recall, 3/2,434, Sony, $3.472 million, $51.755 million. After three weeks at the top of the charts, “The Dark Knight Rises” fell to third place with just under $19 million after being beaten by two new releases this weekend. 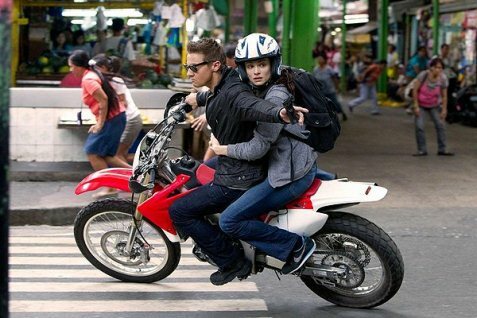 In its opening weekend, “The Bourne Legacy” grossed just over $38 million domestically. That figure is certainly nothing to sneeze at. Sure, “The Dark Knight Rises” made nearly that amount ($35.737 million) last week, but then we’re talking about the movie that had the third biggest opening weekend of all-time with nearly $161 million. As I predicted in my Box Office Preview, “The Bourne Legacy” did break the pattern of each “Bourne” film being more successful than the last. But that’s to be expected in a third sequel, or is it a spin-off/reboot? I really don’t know what to call this thing. What I do know is that despite sticking Jeremy Renner in Matt Damon’s place, “Legacy’s” $38.1 million debut fell in between the series’ first film, “The Bourne Identity” ($27.1 million), and the second, “Supremacy” ($52.5 million), and dropped 45 percent off “Ultimatum” ($69.2 million), the last entry with Damon in the lead. In second place with $26.588 million was the new political comedy “The Campaign,” which starred Will Ferrell and Zach Galifianakis. Although it’s not exactly a terrifically common genre, that is the highest opening mark for a movie centered around a political campaign according to Box Office Mojo. The weekend’s final new release, “Hope Springs,” opened in fourth place with $14.65 million. The film, which stars Meryl Streep and Tommy Lee Jones, is definitely targeting an older audience than most, so while it won’t have any flashy single weekend numbers, I expect it to slowly chug along in much the same way “The Best Exotic Marigold Hotel” did. 1. The Bourne Legacy, 1/3,745, Universal, $38.142 million. 2. The Campaign, 1/3,205, Warner Bros., $26.588 million. 3. The Dark Knight Rises, 4/3,690, Warner Bros., $18.979 million, $389.588 million. 4. Hope Springs, 1/2,361, Sony, $14.65 million. 5. Total Recall, 2/3,601, Sony, $8.013 million, $44.101 million. 6. Diary of a Wimpy Kid: Dog Days, 2/3,398, Fox, $8.002 million, $30.356 million. 7. Ice Age: Continental Drift, 5/3,102, Fox, $6.38 million, $143.694 million. 8. Ted, 7/2,208, Universal, $3.223 million, $209.848 million. 9. Step Up Revolution, 3/1,898, Summit, $2.941 million, $30.256 million. 10. The Watch, 3/2,461, Fox, $2.221 million, $31.396 million. In its third week in release, “The Dark Knight Rises” is once again the nation’s number one movie after grossing nearly $36 million. On Sunday, its 17th day at the box office, the film’s total domestic gross passed the $350 million mark, making it the third fastest movie to reach that plateau, behind only “The Avengers” (10 days) and “The Dark Knight” (14 days). The weekend’s two new releases, “Total Recall” and “Diary of a Wimpy Kid: Dog Days” struggled, grossing only $25.5 and $14.6 million, respectively. The two films’ audiences skewed in opposite directions, with “Total Recall” tracking 58 percent male and 53 percent 30 years of age or older. Moviegoers gave the film a woeful “C+” CinemaScore. On the other hand, “Wimpy Kid” skewed 58 percent female and 62 percent 25 or younger, while receiving an “A-” CinemaScore. However, the movie’s $14.6 million debut was far behind the series previous installments, which grossed $22.1 million and $23.8 million, respectively. The box office charts remained remarkably static behind the new releases and “The Dark Knight.” Last week’s second through eighth place films each moved back two spots to make room for “Total Recall” and “Wimpy Kid,” but remained in the same order to fill out this week’s fourth through tenth place positions. “The Dark Knight Rises” faces a new challenger in “The Bourne Legacy” next week. We’ll just have to see if it can sustain its dominance against another big name franchise in its fourth week. 1. The Dark Knight Rises, 2/4,242, Warner Bros., $35.737 million, $359.935 million. 2. Total Recall, 1/3,601, Sony, $25.577 million. 3. Diary of a Wimpy Kid: Dog Days, 1/3,391, Fox, $14.623 million. 4. Ice Age: Continental Drift, 4/3,542, Fox, $8.609 million, $132.071 million. 5. The Watch, 2/3,168, Fox, $6.527 million, $25.541 million. 6. Step Up Revolution, 2/2,606, Summit, $5.927 million, $23.724 million. 7. Ted, 6/2,767 Universal, $5.644 million, $203.579 million. 8. The Amazing Spider-Man, 5/2,425, Sony, $4.4 million, $250.74 million. 9. Brave, 7/2,110, Buena Vista, $2.986 million, $223.42 million. 10. Magic Mike, 6/1,202, Warner Bros., $1.414 million, $110.928 million. While it made just shy of $100 million less than its opening weekend figures, “The Dark Knight Rises” continued to demolish the competition. After all, a $100 million drop from the third best opening of all time still left the film with over $62 million by the time things were said and done. I mean, last week “The Dark Knight Rises” grossed $100 million more than the second through tenth place films combined. It couldn’t hope to top that, but in its second week Batman’s $62 million was identical to the combined grosses of the rest of the top 10. Despite “The Dark Knight Rises” falling a hefty but expected 61.4 percent, the weeks two new wide releases, “The Watch” and “Step Up Revolution,” came in third and fourth place with $13 and $11.8 million respectively. Frankly, that’s embarrassing, especially for “The Watch” given its counter-programming angle and star power. The film was written by Seth Rogen and Evan Goldberg, the team that brought you “Superbad,” and stars Ben Stiller, Vince Vaughn, Jonah Hill, and Richard Ayoade. It might not have made “Avengers” money, but “The Dark Knight” is here to stay. We’ll see if “Total Recall,” the new “Bourne” film, or “The Campaign,” which stars Will Ferrell and Zach Galifianakis will be able to top it, but I don’t see it happening. No one messes with the Bat. 1. 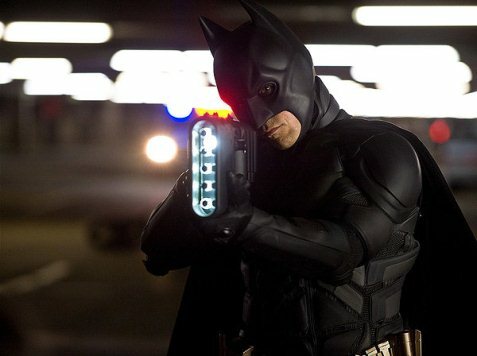 The Dark Knight Rises, 2/4,404, Warner Bros., $62.84 million, $287.851 million. 2. Ice Age: Continental Drift, 3/3,886, Fox, $13.3 million, $114.847 million. 3. The Watch, 1/3,168, Fox, $13 million. 4. Step Up Revolution, 1/2,567, Summit, $11.8 million. 5. Ted, 5/3,129 Universal, $7.353 million, $193.619 million. 6. The Amazing Spider-Man, 4/3,160, Sony, $6.8 million, $242.053 million. 7. Brave, 6/2,551, Buena Vista, $4.237 million, $217.261 million. 8. Magic Mike, 5/2,075, Warner Bros., $2.58 million, $107.587 million. 9. Savages, 4/1,414, Universal, $1.753 million, $43.899 million. 10. Moonrise Kingdom, 10/853, Focus, $1.387 million, $38.396 million.